My race schedule for 2015 is already shaping up to be busy, and I'm excited to re-run some favorites and add new races to the list. My big goal for the year is to add track workouts back to my training and get back to the sub-2 hour half marathon time - maybe even a PR. My brain is still toying with the idea of a fall 50K if the hip flexor holds up to climbing, but we'll see how it goes. One thing at a time. 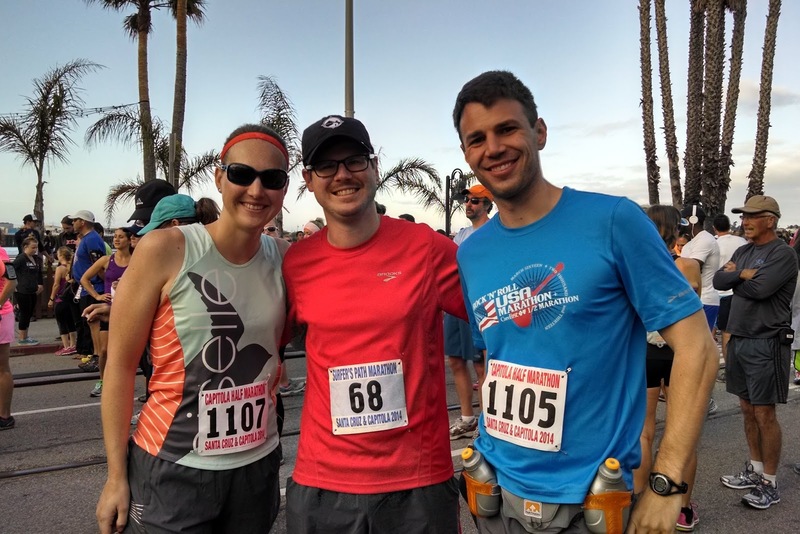 Surf City Half Marathon (Huntington Beach, CA) on February 1, 2015 - Kevin and I will be heading to SoCal for the weekend to enjoy this race along the ocean. I've had my eye on it since moving to California so I'm pumped to add it to the schedule. 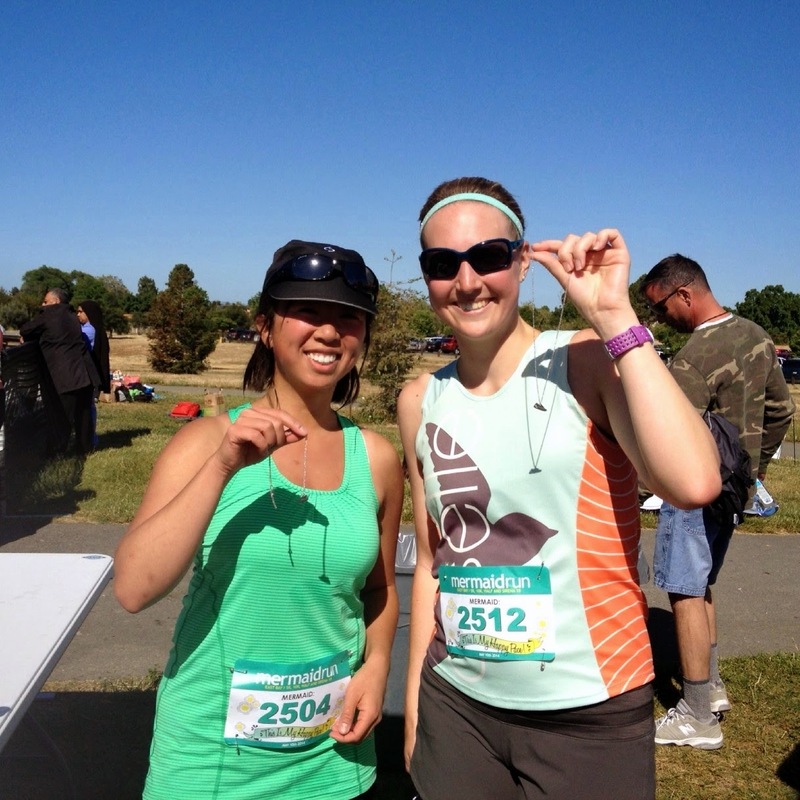 Oakland Half Marathon (Oakland, CA) on March 22, 2015 - We've become attached to doing this race each year because it's logistically easy and we love the grassy area with beer and music at the finish. It's a smaller event too, making it lower key but well done. And as an added bonus, the half starts at 9:15 am so people can take Bart to the start line and avoid difficult parking situations. 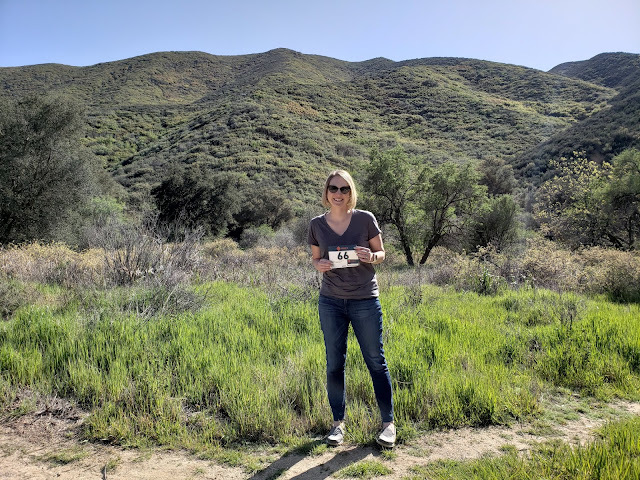 SLO Half Marathon (San Luis Obispo, CA) on April 26, 2015 - It'll be my first time running this event and I'm an ambassador, so I'm excited to meet the rest of the ambassador community. I've heard only great things about the race and it's another one that has been on my list for a couple of years. I can't wait to run there, and this will also be my target half marathon PR race. 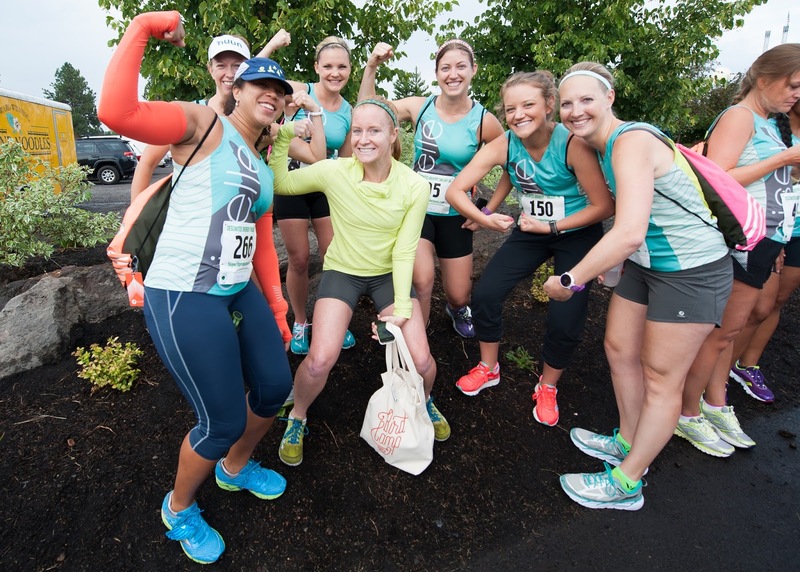 Eugene Half Marathon (Eugene, OR) on May 10, 2015 - Who doesn't love running in Tracktown USA? I had a blast at this one in 2013 and have been itching to go back. 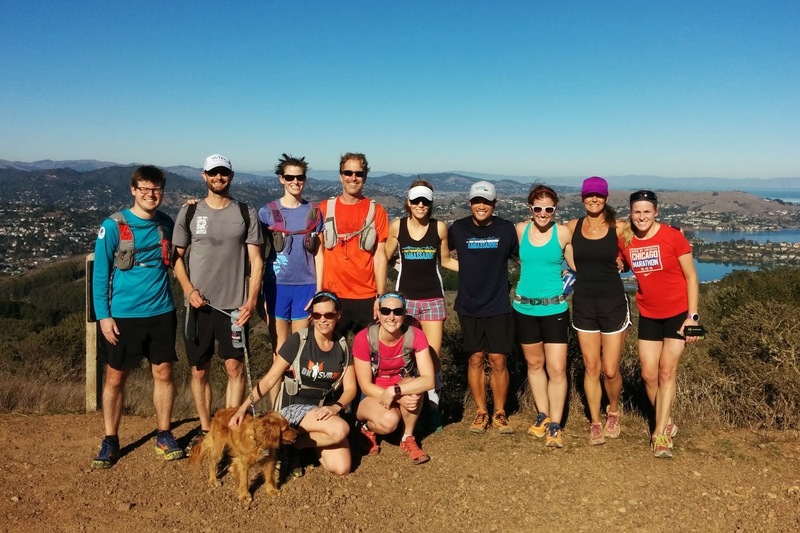 Combine the fun half course and finishing at Hayward with the great craft beer in the area, and you have the perfect long weekend. Because this is also my last post of 2014, I'm throwing in photo highlights from the past year. Despite the hip injury and lack of running PRs, it's been fun and full of support from running friends new and old. SFM Ambassadors Ninja Loop in January 2014. Our college friend, Mike, ran his first half ever in Oakland. 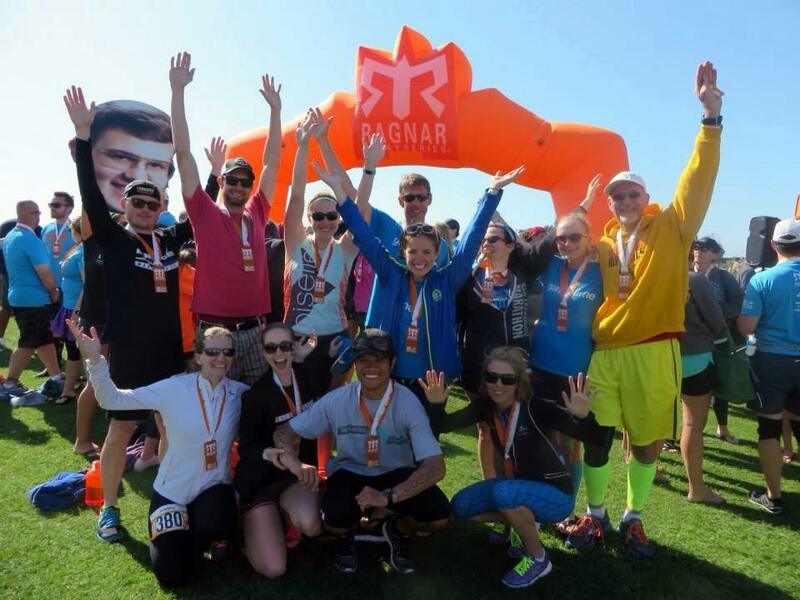 SFM Ambassador Team 'AfterNUUN Run' at Ragnar SoCal in April. My only PR of the year, but I'll take it! 10K PR at the Mermaid Run Easy Bay with Natalie. Me, Kev, and Derek at Surfer's Path. Kev ran his marathon PR, I ran my first half post-injury. 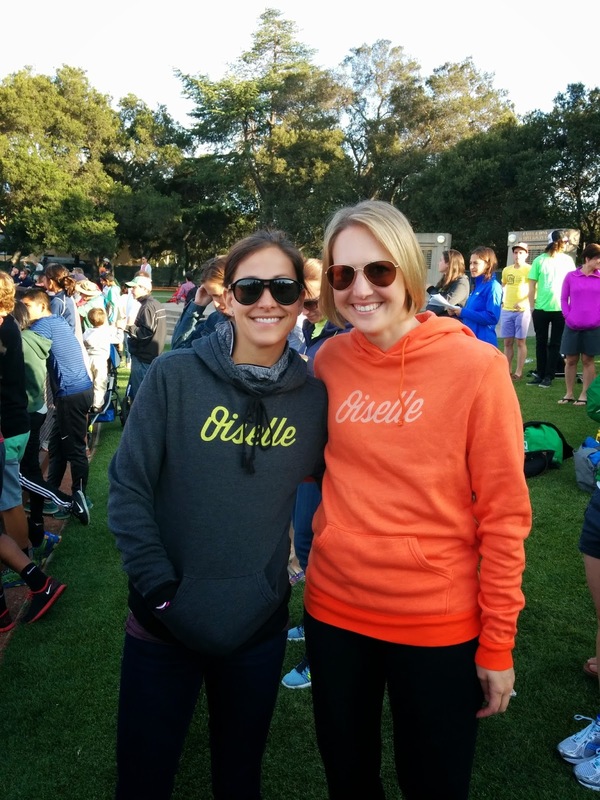 Meeting Kara Goucher! And cheering at Payton Jordan. Crewing for rockstar Matt at Western States. The action shot, crew, Matt and pacer Ruben at Foresthill. 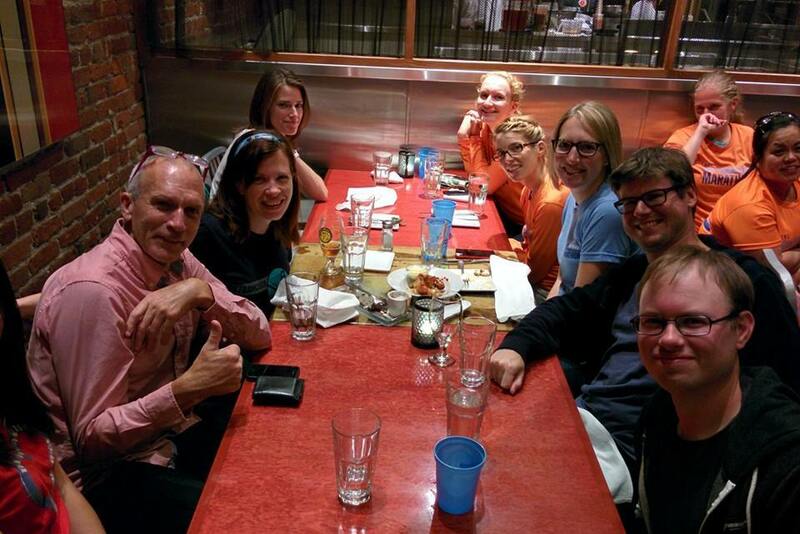 Dinner with Bart Yasso and SFM Ambassador friends during race weekend. 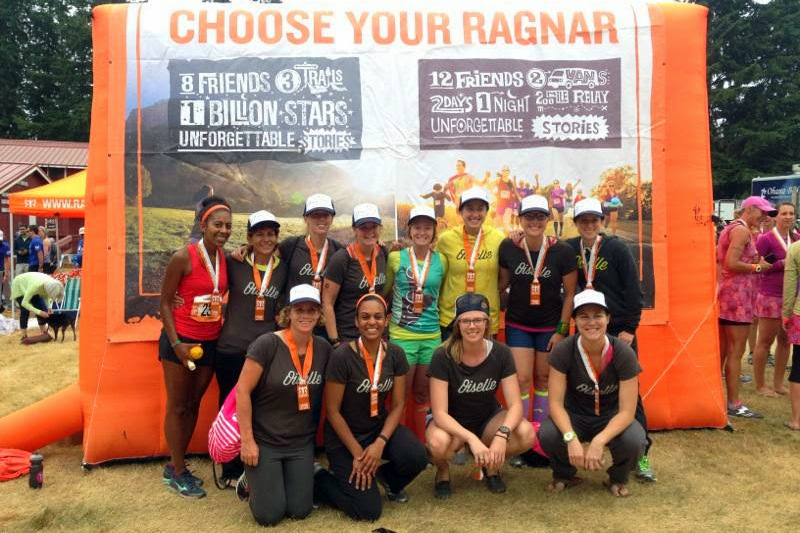 Another fun Ragnar NWP weekend with Oiselle Team ladies. Bird Camp in Bend, OR, the happiest place on earth. 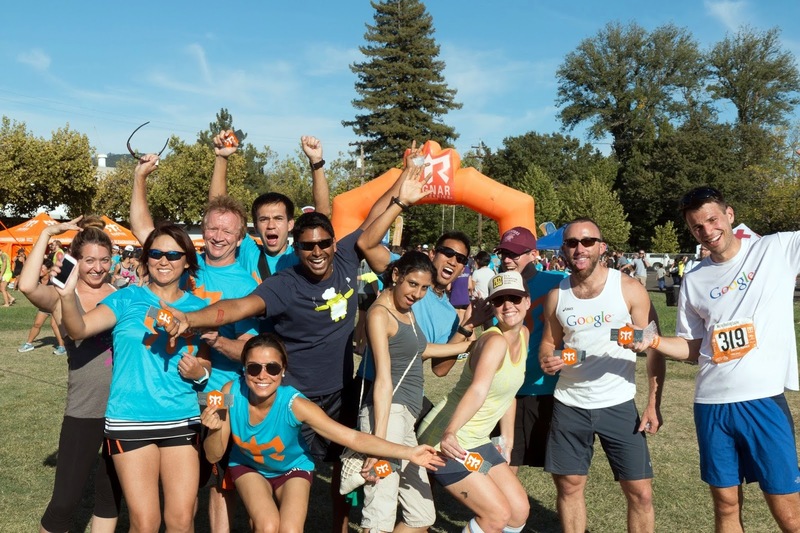 Ragnar Napa with an awesome group, probably my fave photo of the year! 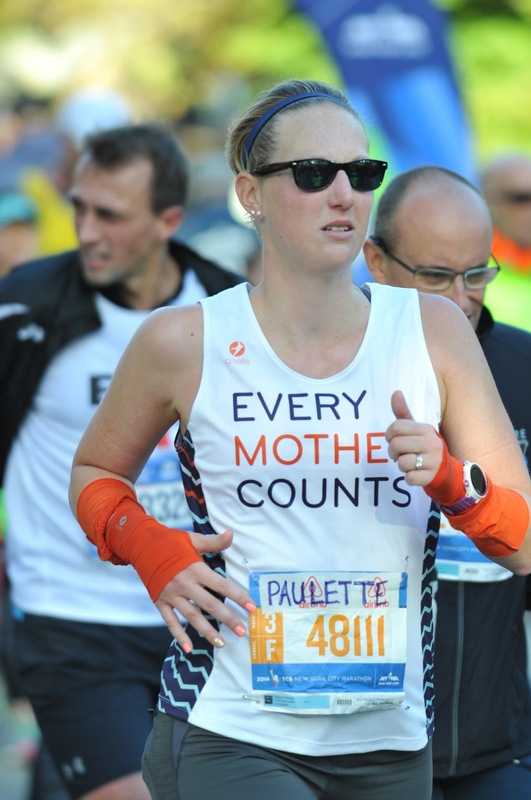 Running NYCM for Every Mother Counts. Easily my fave marathon so far. That closes out 2014. Bring on 2015, I'm ready! What are your big plans? Looks like you have a full year of awesome races ahead of you! I am thinking about doing SLO myself. Love it down there. Congrats on a great year! And thanks for your advice on the hip injury - really appreciate it. Hope your continues to get better in 2015! I'm always jealous of all the races you can run! You did some amazing races in 2014 and I have no doubt you can get back to the sub 2-hour half marathon! Surf City, SLO, & Eugene are all on my wish list. Some day!!! If 2014 was amazing it looks like 2015 will be another great year of fun races planned :) I look forward to reading about your training and race recaps. Which 50k have you been thinking about? ?